Get your logo designed and establish your brand today! Whether you’re looking to rebrand or create a new brand from scratch, let us help you build your brand flourish. Let’s talk backlinks! Google rates your website dependent on various variables, but most important is your backlink portfolio. How often is your website referenced on the web, in what context and what site is it coming from? All these small variables have huge impact on your Google ratings ! Increase your presence on Social Media the right way, build a following, reach your followers, increase your sales. 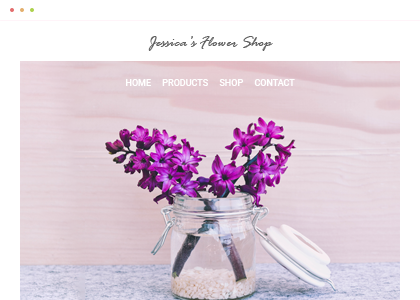 With a passion for fashion Jessica wanted to open her first online store. We helped her to setup shipping rates, tax rates, and even imported over 100 products for her! With our adivce she began offering coupon codes helping drive sales to her store! 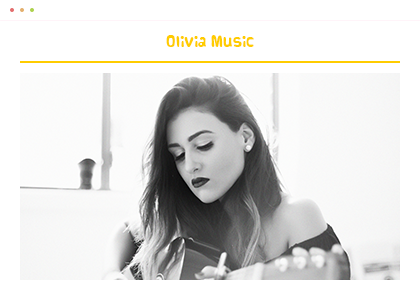 We helped Olivia by creating a platform where her followers could not only listen to her most recent music but could also purchase her songs and fan merchandise. She now has a way to bring revenue in without leaving her house! WebBuildMe specializes in WordPress development & design. 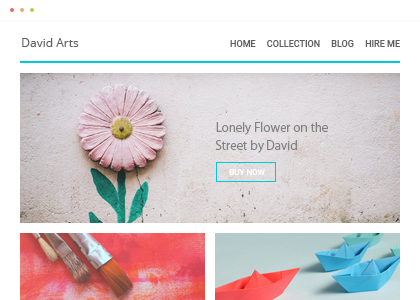 All our designs are 100% responsive across all platforms, Computers, Laptops, Tablets, and Phones. Here are a few of the options we provide: online form submissions, event listings, photo galleries, video playback, audio playback, sliders, landing pages, user registration, e-commerce including ticket sales, product sales(digital and physical),subscriptions to services and much more. WordPress CMS provides a 100% user friendly interface allowing our customers to update any pricing options, photos, or content in an instant. If you wish for us to handle all updates not a problem! ­Sit with one of our designers. Here at WebBuildMe we provide the latest styles, designs, and tech to help set your company apart and put you one step ahead of your competition. We can create Responsive & Multi-Platform Apps supporting Windows Mobile OS, iOS, and Android that allow for mobile tickets sells, live tracking, data management, photo uploads, and much more! Don't miss out on great deals & news, sign up now and recieve monthly newsletters. WebBuildMe (“us”, “we”, or “our”) operates the webbuildme.com website (the “Service”). These Website Standard Terms and Conditions written on this webpage shall manage your use of our website, WebBuildMe accessible at webbuildme.com. Other than the content you own, under these Terms, WebBuildMe and/or its licensors own all the intellectual property rights and materials contained in this Website. Certain areas of this Website are restricted from being access by you and WebBuildMe may further restrict access by you to any areas of this Website, at any time, in absolute discretion. Any user ID and password you may have for this Website are confidential and you must maintain confidentiality as well. In these Website Standard Terms and Conditions, “Your Content” shall mean any audio, video text, images or other material you choose to display on this Website. By displaying Your Content, you grant WebBuildMe a non-exclusive, worldwide irrevocable, sub licensable license to use, reproduce, adapt, publish, translate and distribute it in any and all media. Your Content must be your own and must not be invading any third-party’s rights. WebBuildMe reserves the right to remove any of Your Content from this Website at any time without notice. This Website is provided “as is,” with all faults, and WebBuildMe express no representations or warranties, of any kind related to this Website or the materials contained on this Website. Also, nothing contained on this Website shall be interpreted as advising you. In no event shall WebBuildMe, nor any of its officers, directors and employees, shall be held liable for anything arising out of or in any way connected with your use of this Website whether such liability is under contract. WebBuildMe, including its officers, directors and employees shall not be held liable for any indirect, consequential or special liability arising out of or in any way related to your use of this Website. You hereby indemnify to the fullest extent WebBuildMe from and against any and/or all liabilities, costs, demands, causes of action, damages and expenses arising in any way related to your breach of any of the provisions of these Terms. WebBuildMe is permitted to revise these Terms at any time as it sees fit, and by using this Website you are expected to review these Terms on a regular basis. The WebBuildMe is allowed to assign, transfer, and subcontract its rights and/or obligations under these Terms without any notification. However, you are not allowed to assign, transfer, or subcontract any of your rights and/or obligations under these Terms. These Terms constitute the entire agreement between WebBuildMe and you in relation to your use of this Website, and supersede all prior agreements and understandings.